Would you like to give input about the Bandera Road Project? Then join us at our Movies in the Park event on February 15th from 5:30 p.m. to 9:00 p.m at Raymond Rimkus Park, 6440 Evers Road. The Bandera Working Group will be there to gather citizen input on the Bandera Road Project. 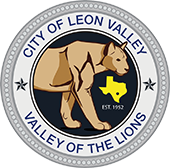 Stay up to date with what is going on in your city!